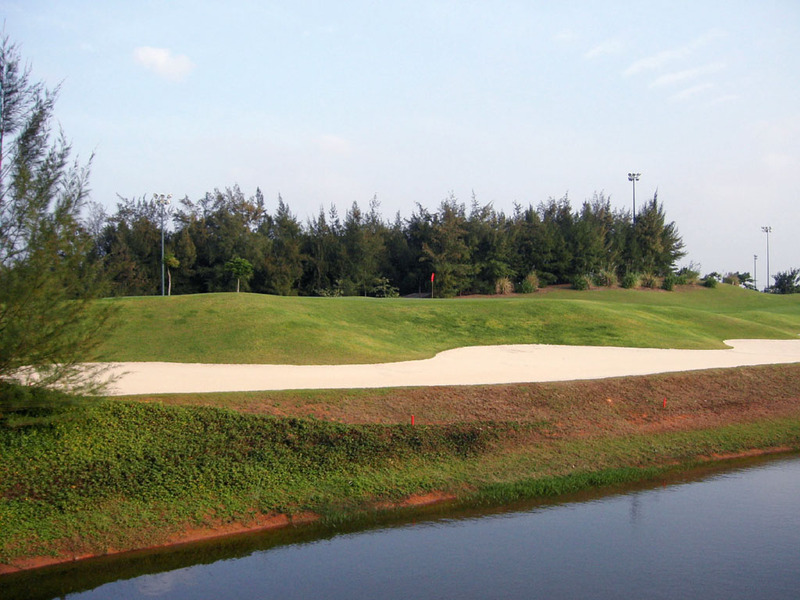 It is a flat course developed near the ocean with a really neat layout of lakes and bunkers. 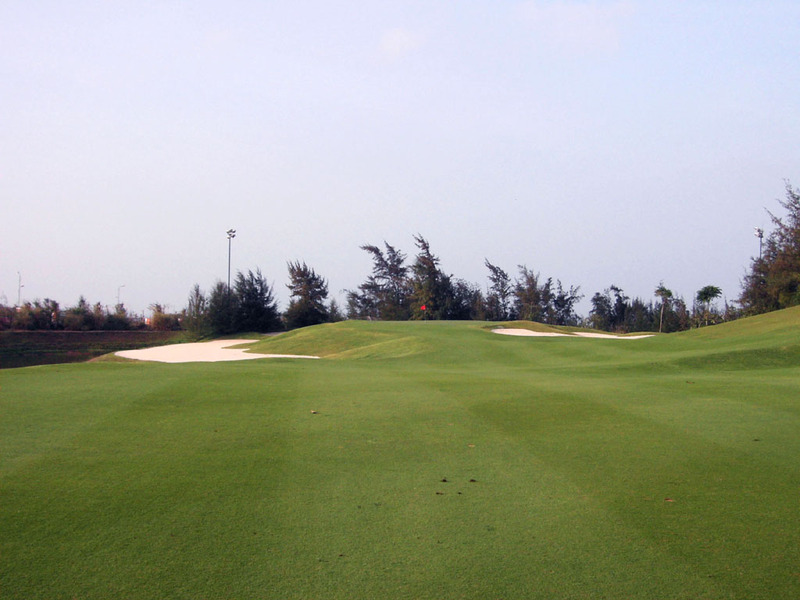 Over 100 bunkers make this course strategic and the north wind from the ocean makes it even more challenging. Also, precision approach shots are needed to ensure a good score here because most greens are a little elevated and many fairways in front of the greens are squeezed by the bunkers on both sides protecting the greens. 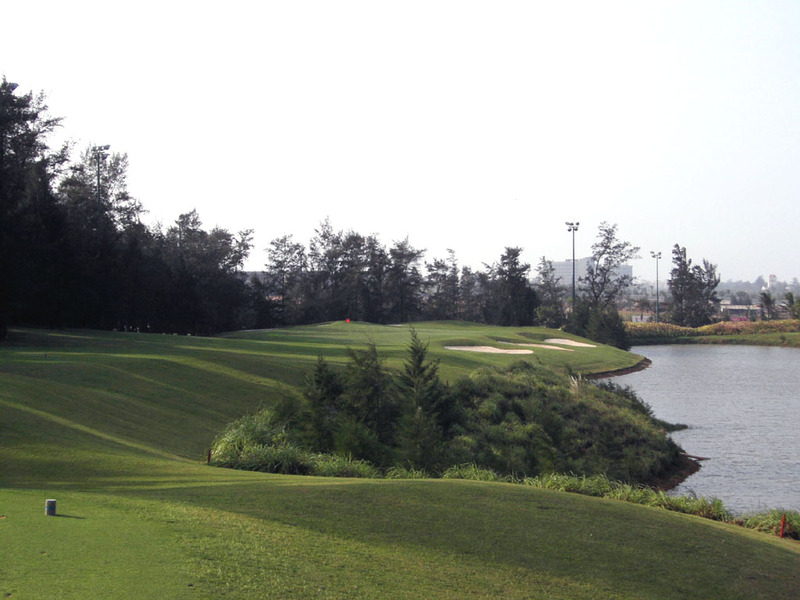 Each hole is separated by water or trees, which is good. 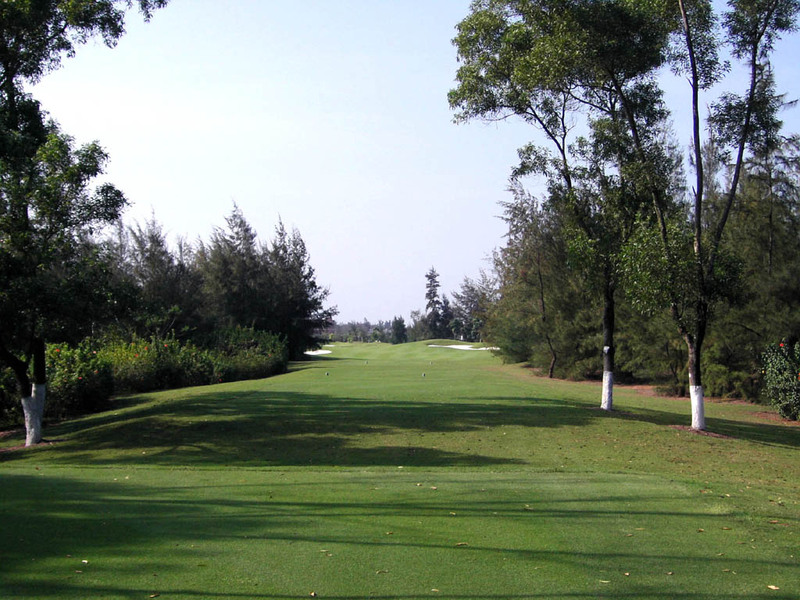 It is a long and difficult course but a fair course because there are few blind holes and you know where to hit, so it is fun to play. When you drive off the tee, the trees ahead give you some visual pressure. 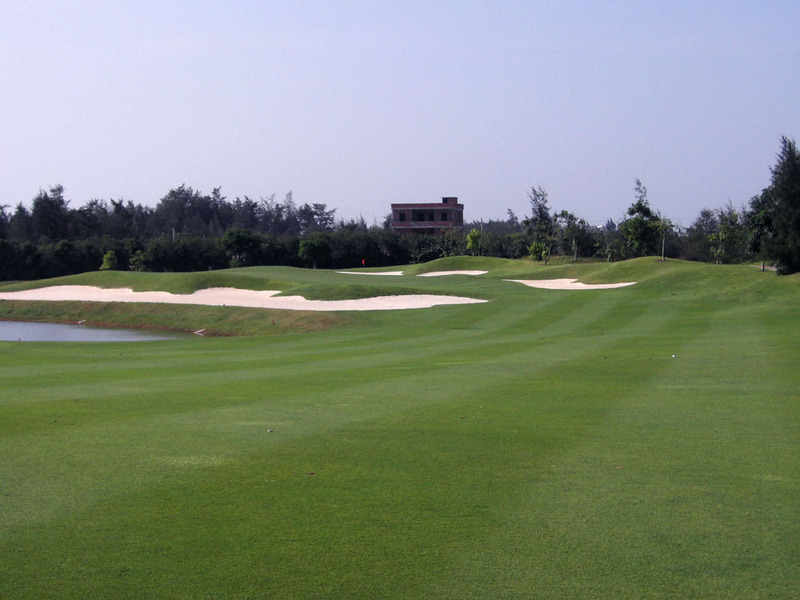 Bunkers are superbly positioned around the green swung to the left, so you need to make a high shot dead at the pin. Various bunkers are visually and strategically well-placed. 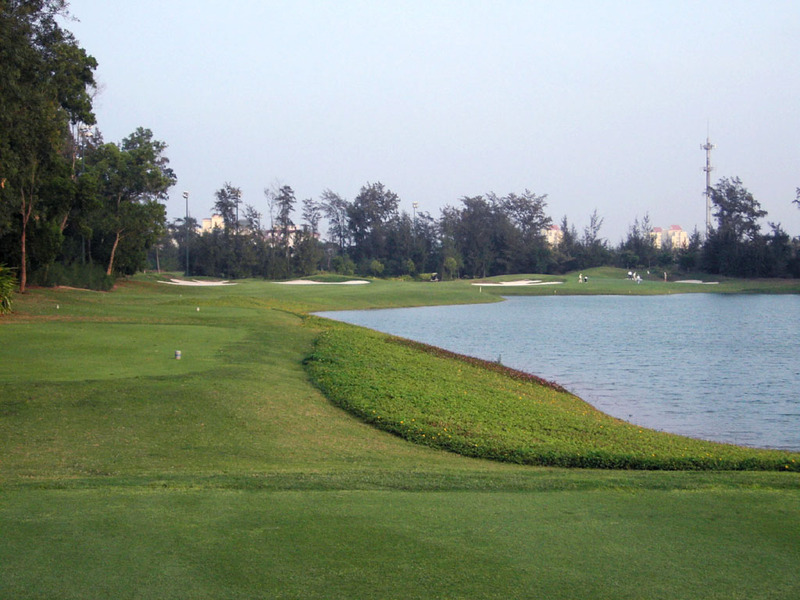 A long dogleg right with water along the right side. The left side of the lake is this 9th hole and the right side is the 18th, sharing the same lake. 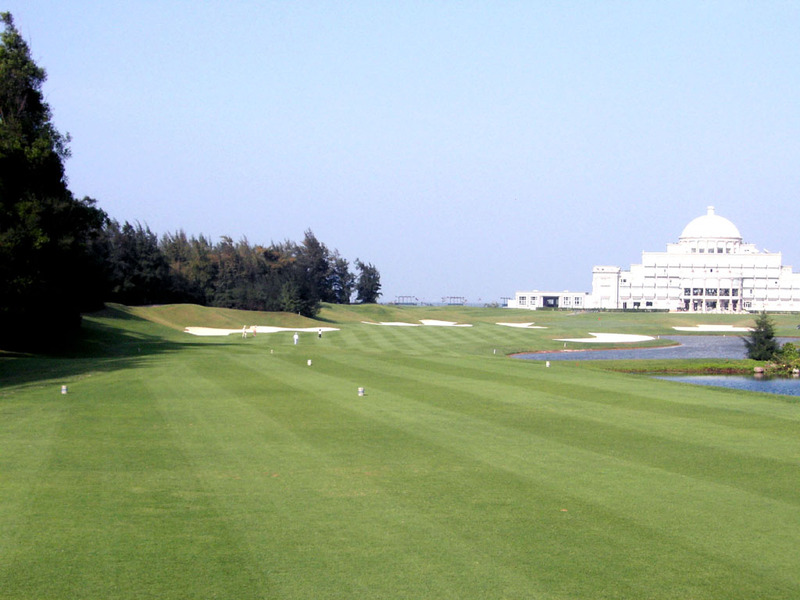 The luxurious and luminous clubhouse behind the green always comes into sight on this hole. 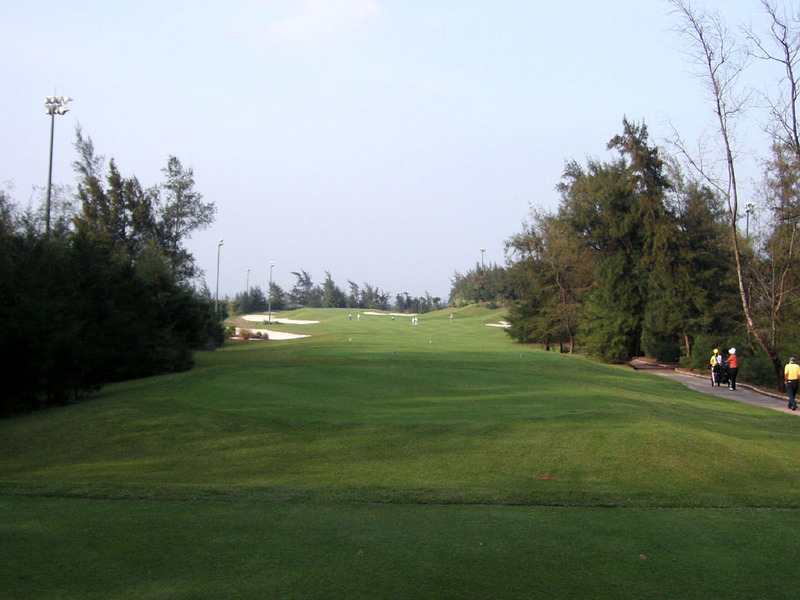 A nice and demanding par 3 with trees on the left and bunkers and water on the right. An accurate fairway wood shot is needed on this hole. Another neat hole with nicely positioned bunkers. It combines the natural landscape, local trees and soil. The green is elevated and the bunkers on both sides come into play. 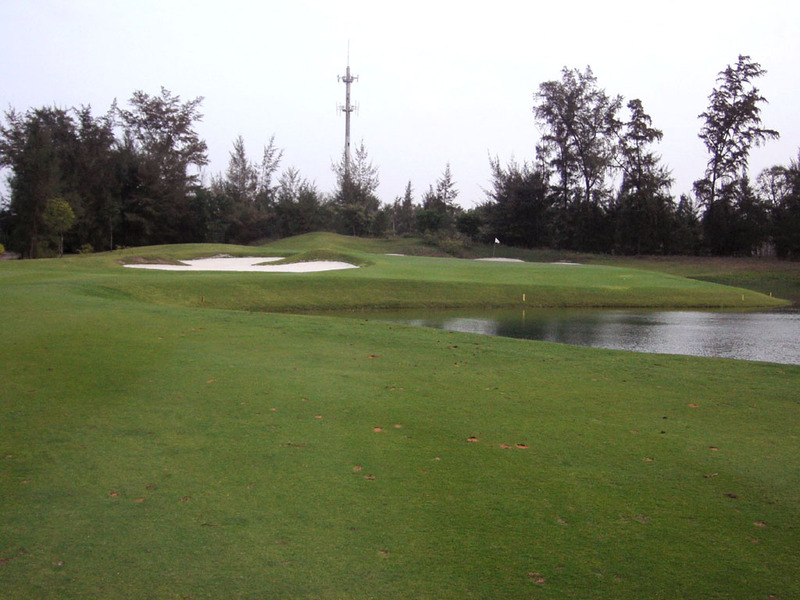 There is also a water hazard further left bordering the left bunker. 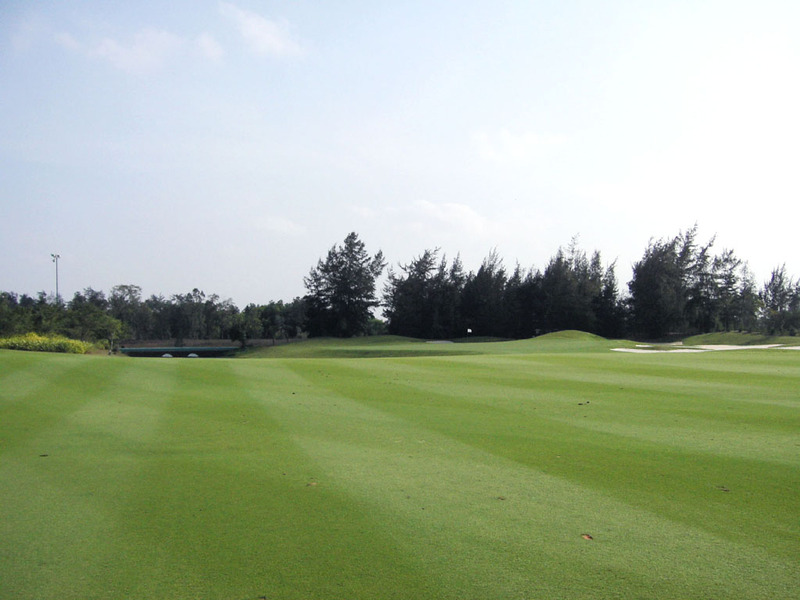 A very short par 4 but it demands your “A” game plan. From the tee you must decide whether to play safe to the left with an iron or a fairway wood, or go for it with a driver over the water. The layout deceives you because it looks easy to carry over the water. But in fact you need to hit a carry of 280 yards. Even a pro can’t reach the fairway bordering the pond especially when hitting against the wind. It takes 30 minutes from Haikou Airport and 15 minutes from Haikou city by car. 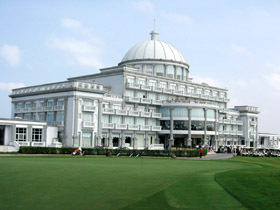 There is a 5 star hotel inside the clubhouse, which looks like a palace. 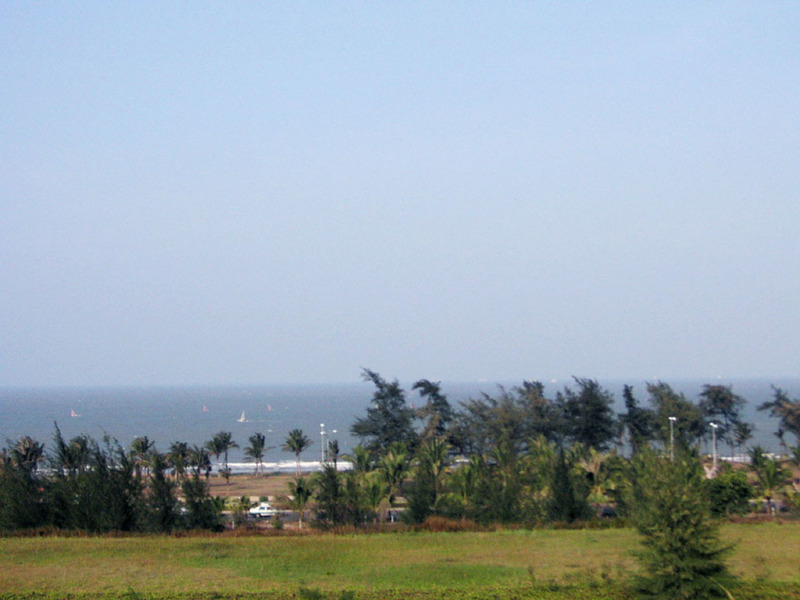 There is West Coast (西海岸) GC next to the club, sharing the same scenic coastline. I arrived at the airport at 12:10 from Hong Kong. 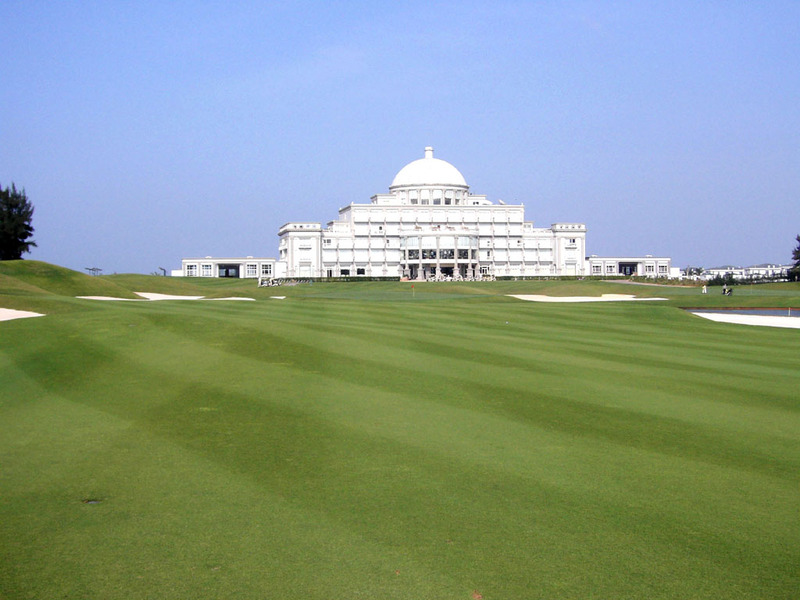 I went directly to the course after the immigration and could finish 18 holes without difficulty. I finished at 5:40 p.m. and no lighting was needed. If your former groups play very slowly or your starting time is late, you can still finish playing because the back 9 holes are floodlight. I was able to play from the longest tees without communicating with the caddie master. 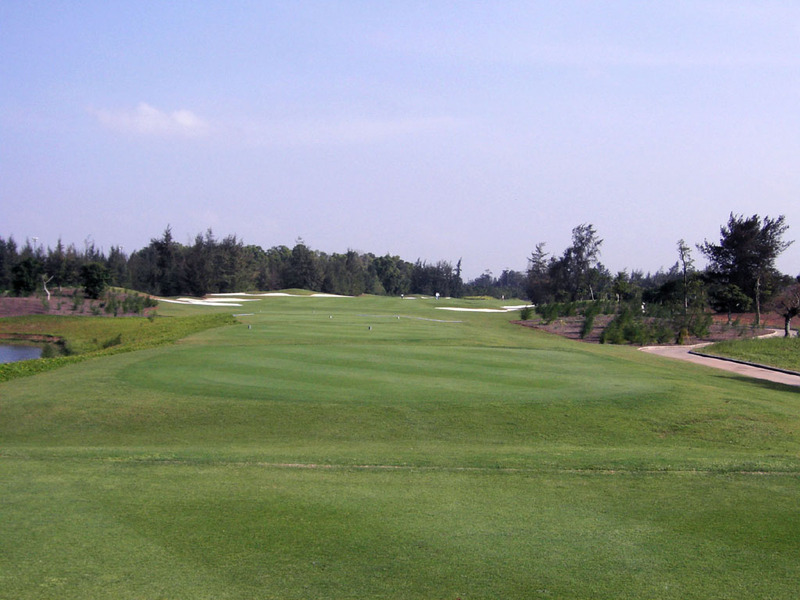 The other Colin Montgomery designed courses in Asia are Golden Gulf (金湾) GC in China, Raon GC in Korea, and Montgomery Golf Links in Vietnam.